Just say “NO” to serial texting! Have you ever looked forward to a lunch date with a friend or family dinner with those you love and been disappointed by the lack of conversation because someone would look up from her phone? 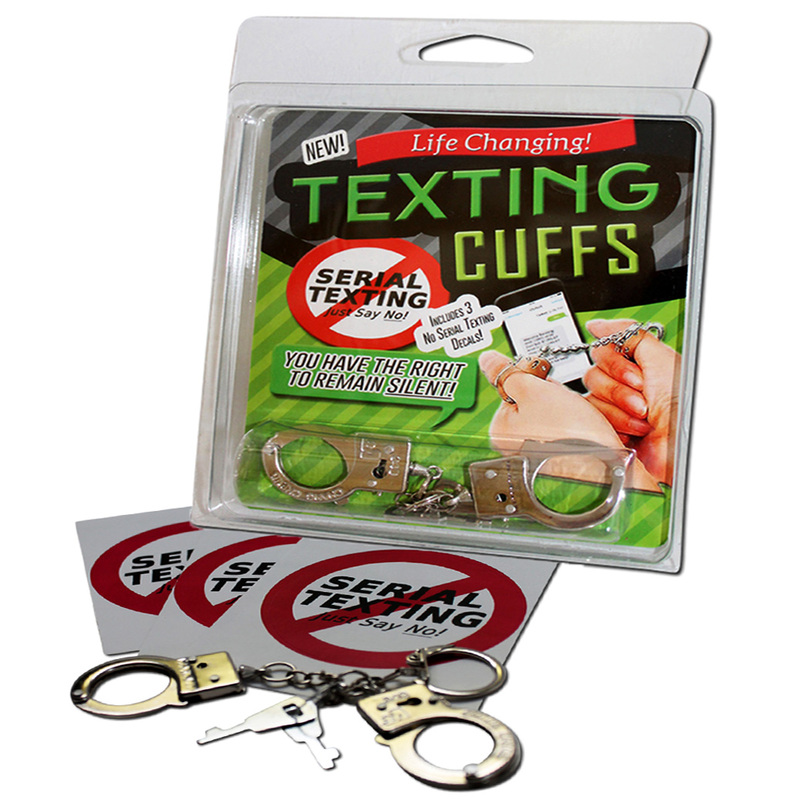 Finally, we have a solution that will help you just say “no” to serial texting – Texting Cuffs Thumb Cuffs for Serial Texters! 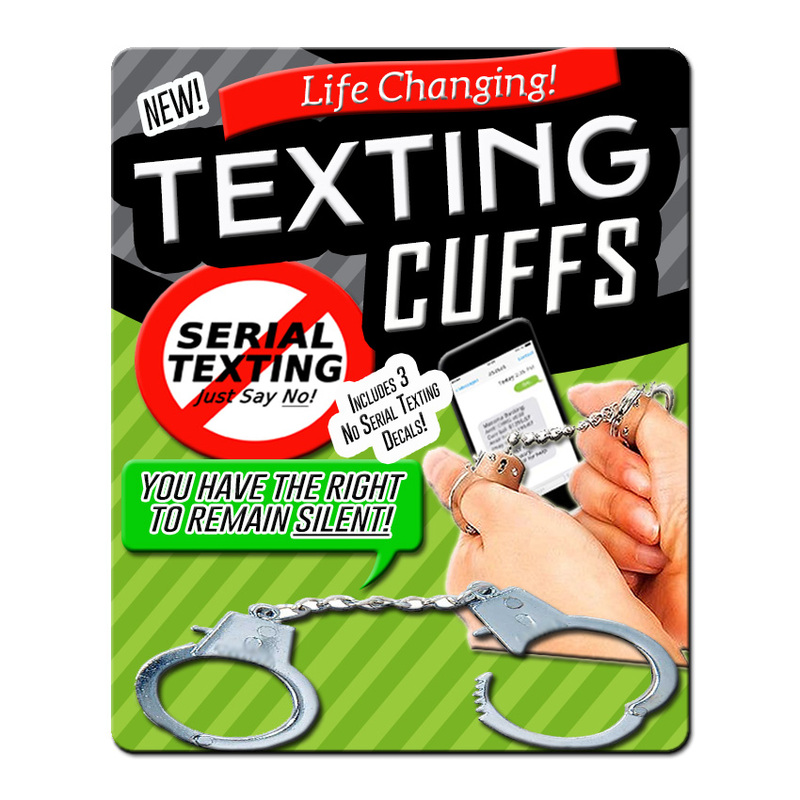 Slap those thumb cuffs on the texting addict’s fingers and enjoy some actual verbal conversation for once! 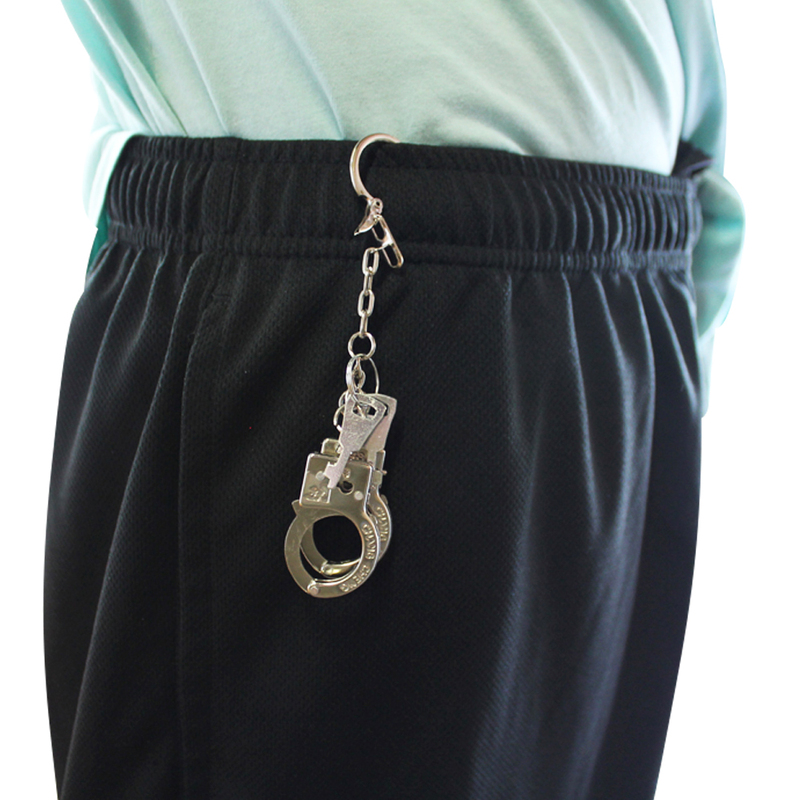 Not only will these handy texting cuffs help silence the never-ending clicking, but we include three “Serial Texting: Just Say NO!” decals perfect for sending a clear signal that a serial texter has entered a NO TEXTING ZONE. Proudly display these stickers in locations known for being texting hot spots: the dinner table, toilet, and car. Failure to comply just might lead to some fancy new thumb rings!